Established in 1958, we are the largest pencil manufacturer in India. Besides being a household name in India, our brands Nataraj & Apsara are exported to over 50 countries. 8 million pencils, 1.5 million sharpeners, 2.5 million erasers, 0.2 million scales, 1 million pens. Delighting consumers with globally recognized stationery. Hindustan Pencils is committed to manufacture and market quality products of international standards. 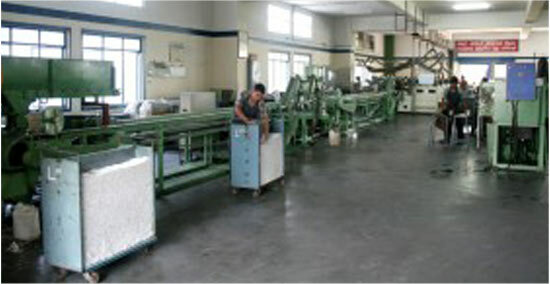 Consistent efforts are made by the company to meet the international safety norms. The company believes in continuous improvement of the processes and the maximum utilization of the inputs to prevent degradation of the environment. All ingredients used by the company are non-toxic in nature. Wood being one of the main inputs for pencils, the company ensures to develop plantations and renewal of this precious natural resource. Reliability being the hallmark of our products, we manufacture them using the most stringent quality controls backed by years of research and development. Our 10 factories spread across 5 different locations in India and employ the latest in technology and use the best raw material to provide unmatched quality to our products. Every little component like pencil lacquer, sharpeners blade, screws, pen’s tips are made in-house to ensure impeccable quality standards. We do not use any forest wood for manufacturing pencils. 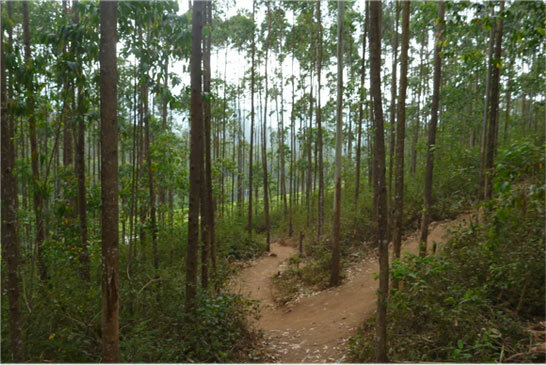 Our concern for the environment has led us to develop own plantations. Moreover, we procure wood from the farmers who either grow trees on their farm, land or in the courtyard of their residential premises. This practice ensures uninterrupted supply of wood of consistent quality. It also helps protect bio-diversity and maintain ecological balance. Constant efforts are made by the company to improve processes and maximize utilization of inputs to prevent degradation of the environment. All ingredients used by the company are non-toxic in nature. Research and Development efforts are also being made to switch over to eco-friendly water based lacquers and PVC-free formulations. Our commitment to quality, research and development have carried our products beyond the Indian shores. At present, we export to over 50 countries. Nataraj Research Centre & Training College Bhavnagar, Gujarat: The institute provides quality teacher training in the areas of rehabilitation, paramedical and special education on cerebral palsy, mental retardation, hearing impairment and other impairments. Nataraj Special School for Children with Cerebral Palsy Bhavnagar, Gujarat: The institute has been providing treatment and education to about 200 children. KLJ Institute of Deaf and Dumb: The institute conducted rural program for polio corrective surgery in Gujarat, examining over 4 lakh children and performing 1.5 lakh surgeries. It also carried out Rubella vaccination of young women from 13 to 35 years of age to prevent birth of children with congenital anomalies.